In this fascinating collection of Bruins tales, Kerry Keene brings readers behind the scenes and captures the stories that have defined the franchise throughout its storied history. 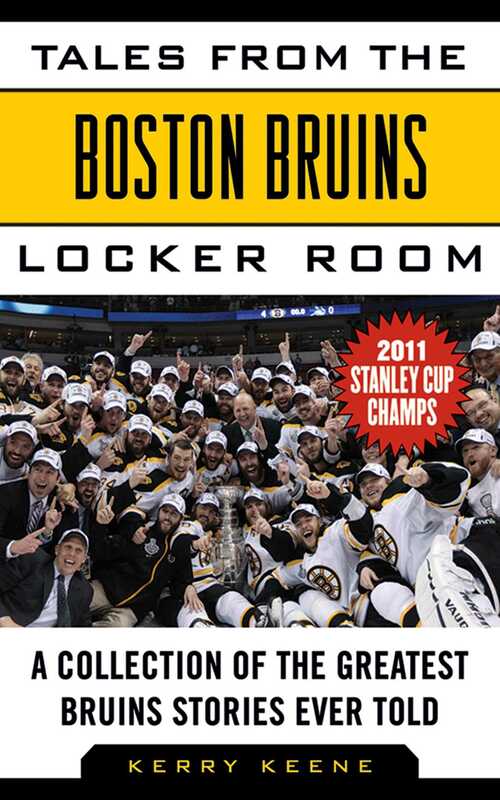 From the team’s inception in 1924 up through their 2011 championship run, Tales from the Boston Bruins Locker Room has it all. This treasure trove of Bruins lore brings Boston’s best hockey players to life with stories about Bobby Orr, Ray Bourque, Phil Esposito, Zdeno Chara, Tim Thomas, and other Bruins legends. Learn what Bruins jersey number was retired twice, who started the tradition of painting stitches on hockey masks, how the 1977 Bruins team inspired author George Plimpton to write the book Open Net, and relive the greatest moments of the 2011 Stanley Cup Finals.